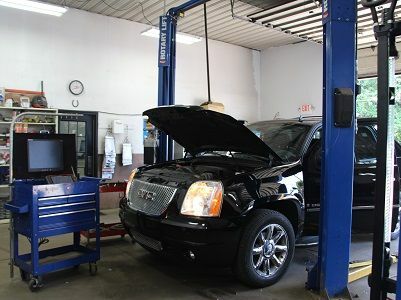 Acme Tire and Auto Inc., provides full service auto repair on all makes and models. From minor to major repairs, we have the expertise, experience, and equipment to handle all types of repairs, maintenance, and modifications. We are proud to be a member of the Great Lakes Auto Association and the Rockford Chamber of Commerce. For customer convenience, we offer complimentary vehicle pick-up and delivery. After dropping off your vehicle, if you need a ride to or from work or home, we will be happy to provide you transportation while your vehicle is being serviced. If your vehicle is in need of towing, we offer full service towing through our partner, Nelson's Wrecker Service, and would be more than happy to schedule a pickup of your vehicle.